The league created perhaps more backlash by axing this press conference. The NFL and good public relations haven’t exactly gone hand in hand over the last several years. It seems that the league has made a habit out of making things more difficult and complicated for themselves by somehow not being able to get out of their own way, even with the seemingly most mundane of events or topics. The latest example? The annual Super Bowl press conference with the halftime musical act. How in the world could the annual Super Bowl press conference with the halftime musical act create controversy, you ask? Come and explore the wonderful world of protecting the shield to find out! 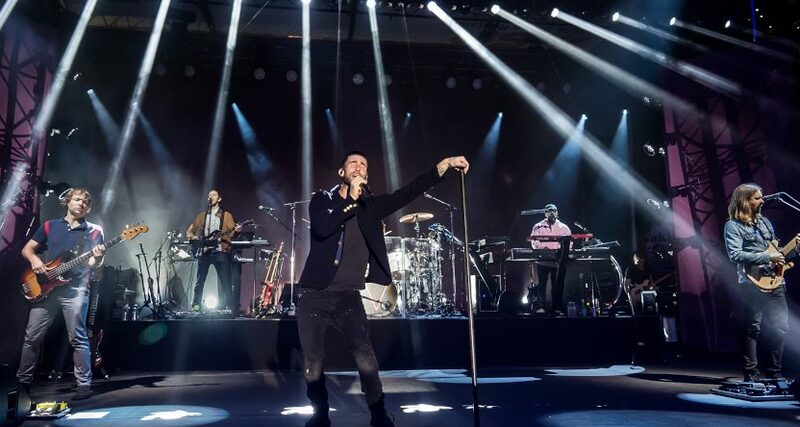 On Tuesday the NFL abruptly canceled their press conference with Maroon 5. Instead, the league said the “artists will let their show do the talking,” which is hilarious and makes it sound as if Skip Bayless is out there on debate shows every day running down Maroon 5’s lack of clutch gene. While this all sounds pretty absurd, apparently the NFL is protecting Maroon 5 from the possibility of addressing criticism towards the league and the halftime show. Earlier this month, there were reports of former NFL quarterback Colin Kaepernick taking issue with Travis Scott’s decision to join Maroon 5 to perform at the Super Bowl. Previously, artists like Rihanna reportedly turned down the chance to play the Super Bowl in support of Kaepernick. The Super Bowl halftime gig press conference isn’t exactly known for its hard-hitting questions, so in just canceling it all together the NFL is making this a bigger story than it ever would have been otherwise. It’s just another example of the league making a situation worse by trying to run and hide. It’s the same thing that is happening with the league’s lack of public response to the officiating debacle in New Orleans during the NFC Championship. Unbelievably, the league has said nothing about the blown pass interference call. Instead of addressing it and moving on, the league is creating a vacuum of silence that is only fanning the flames of controversy. Had the NFL just allowed this press conference to happen, the musicians could have addressed the Kaepernick situation and moved on. Instead, the NFL again makes it look like it’s trying to hide something and gives further credence to the notion that Kaepernick is being blackballed from the league. When the NFL can’t even risk his name being mentioned at the Super Bowl halftime act press conference, then you know that something is definitely wrong with this situation. Maybe Goodell should just cancel his press conference too.